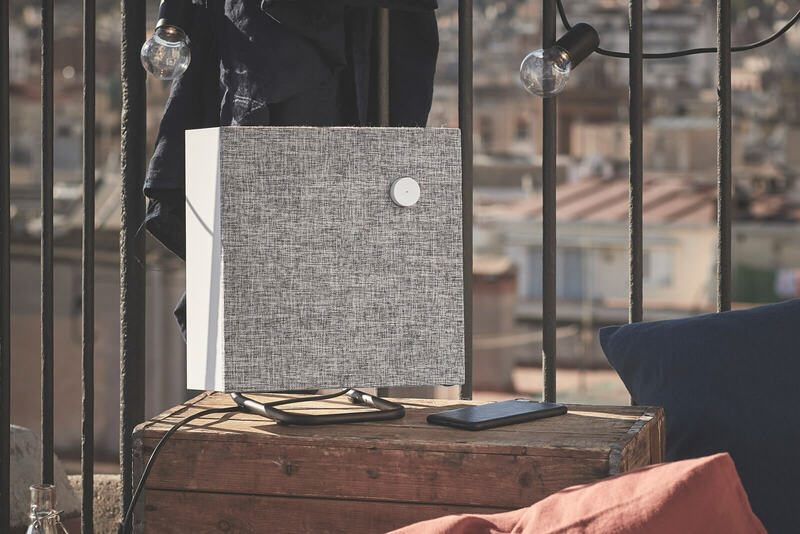 While products from the Ikea and Sonos partnership announced last year aren’t arriving until 2019, the Swedish seller of ready-to-assemble furniture has just launched its Eneby Bluetooth speakers in the US and UK, following their release in Sweden and mainland Europe. The systems are available in 8 x 8-inch and 12 x 12-inch versions, both measuring three inches thick. They come with either black or gray polyester mesh fabric on top of the black or white plastic, though you can remove both speakers’ front panels if you so wish. The $49 smaller model features a carrying handle and has an optional $20 rechargeable battery pack that keeps it running for up to 10 hours, while the $89 larger speaker must be plugged into a power source. They can be mounted on wall brackets or on a stand, both sold separately. The speakers can be paired with up to eight Bluetooth devices, or you can use the included 3.5mm auxiliary cable for connecting to non-wireless devices. There is only one plastic knob on the speakers themselves, which is used as a power switch and for altering the bass and treble—playback and volume is controlled from the source device. No word from Ikea about the speakers’ specs, but they do appear to have a tweeter and woofer. One thing we do know is that the only assembly the Eneby requires is attaching the handle to the smaller model. They’re not yet available to buy online but can be picked up in most Ikea stores.